The disasters that International Rescue are always trying to solve might seem like they're just random encounters, or maybe just coincidences. But really, there's a nefarious person behind it all. The Hood is looking to destroy International Rescue once and for all. He'll not stop with the kidnappings, hijackings, and other dastardly deeds until his goal is achieved. 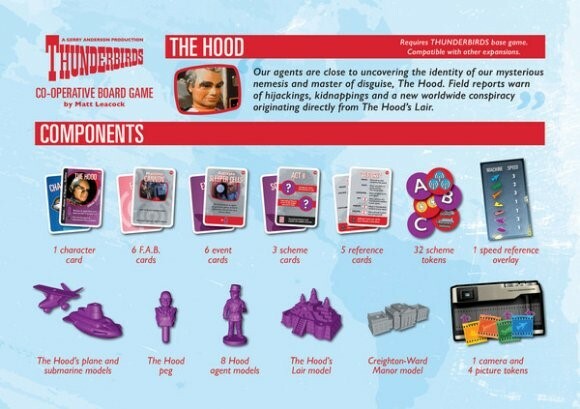 Now The Hood can be part of your Thunderbirds board game experience, as the new expansion is available. This set brings in a couple key elements. First, it lets you add a 5th player to the game. Second, it lets that player work against the goals of the others. 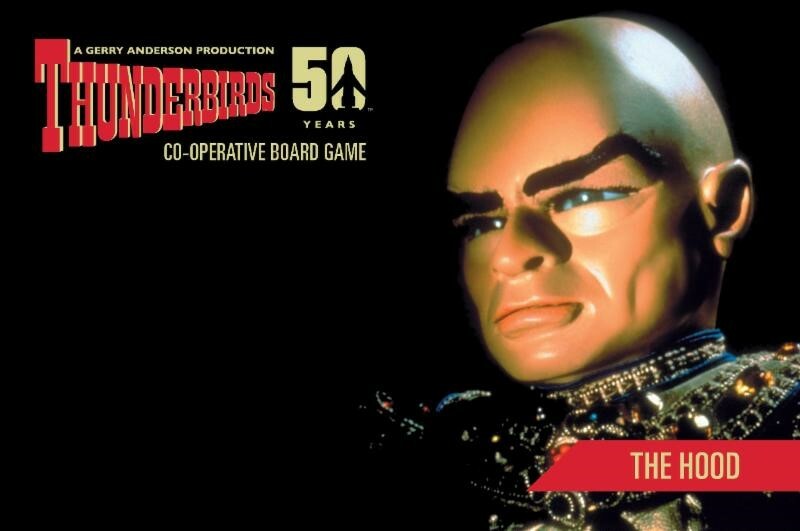 Instead of a purely cooperative game, The Hood turns the Thunderbirds game into a one-vs-many experience. The Hood's player just has one goal: make the International Rescue players lose. But now, instead of the game working against you, you've got an actual person behind the disasters happening on the board. Modiphius is running special release bundles as well. You can get either all the expansions, or all the expansions and the base game for special prices this week.